A fair number of Android users aren't happy with the custom UIs that manufacturers force on their phones, but it seems that smartphone companies are quite adamant on putting them anyway. Xiaomi’s MIUI had a lot of quirks, and some felt that stock Android was just better. Almost as if in response to the feedback, Xiaomi then introduced the Mi A1. The Mi A1 happened to be the very first smartphone from Xiaomi which came with a stock Android experience, as part of Google’s Android One program. Android One involves Google offering users a stock Android-like experience on phones from other manufacturers, ensuring the feature isn’t restricted to just Pixel devices. The A1 also was the very first phone in the mid-range that came with a dual-camera setup. The phone had all the backing of a great mid-range smartphone when it launched a year back. However, now Xiaomi has announced the Mi A2 which happens to be quite a good upgrade over the original Mi A1 - who’s specs are now visibly dated. Cashify is here to help you with the upgrade. Why Sell Your Old Mi A1 On Cashify? 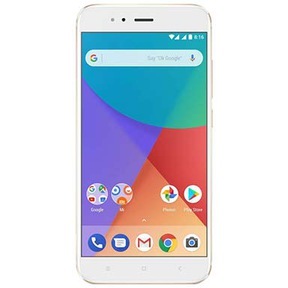 Cashify’s doorstep phone resale services allows you to sell your old Xiaomi Mi A1 device for money or exchange your Xiaomi phone for a newer and better model. Cashify is associated with several top brands in the country which of course, includes Xiaomi. Additionally, Cashify also has partnerships with Apple, Samsung and OnePlus. 1. Our automatically generated, transparent pricing model is the best in the market. All the portal does is ask you certain questions about your Mi A1’s condition, model number and the warranty period. 2. Based on your inputs, we offer you a fair price, complete with a doorstep pickup so you don’t have to step out to sell your smartphone. 3. Cashify will provide you the money for your Mi A1 right at your doorstep - in any payment method you may like - cash, bank transfers, or even e-wallets. The resale value will then be instantly paid to you once the Cashify agent visits you and inspects your Mi A1.